Cheetahs and Rhinos and Dogs, Oh My! Home|Cheetahs and Rhinos and Dogs, Oh My! 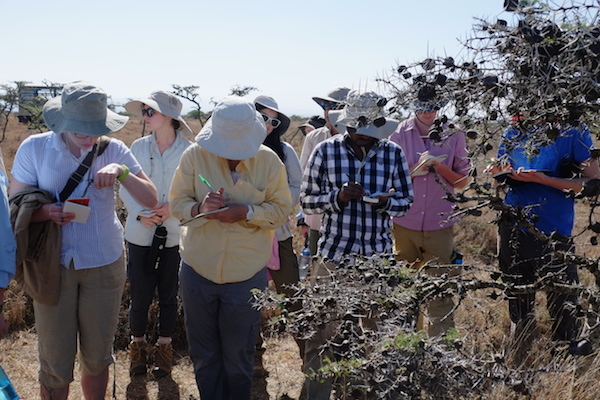 During our last few days at Mpala, the students were immersed in the unique wild life and vegetation of Laikipia. Professor Dino Martins, director of Mpala, brought the students into the field to teach them about different forms of between species interactions. One example of this type of interaction is mutualism; where each species receives a benefit from the other. However, often the two species are actually trying to manipulate the other! 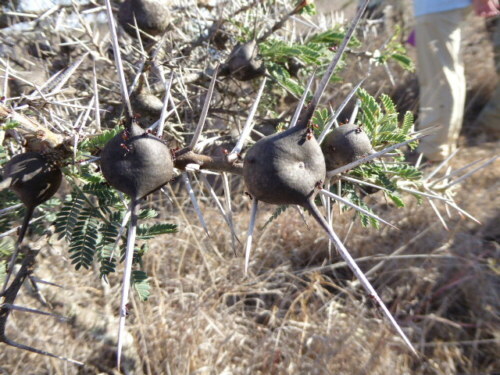 For example, a common mutualism we see here in Laikipia is between the “Whistling Thorn” Acacia and the Black Headed Cocktail Ant. The Acacia Drepanolobium (Whistling Acacia) plant and the mutualistic ants that live on them. While the tree provides housing and nutrients for the ant and the ant helps protect the plant from herbivores, the ant actually cheats by pruning the tree and forcing it to provide more growth rather than reproduce. Thus more resources for the ant! Students taking notes on the Whistling Acacia. Photo credit Deming Yang. 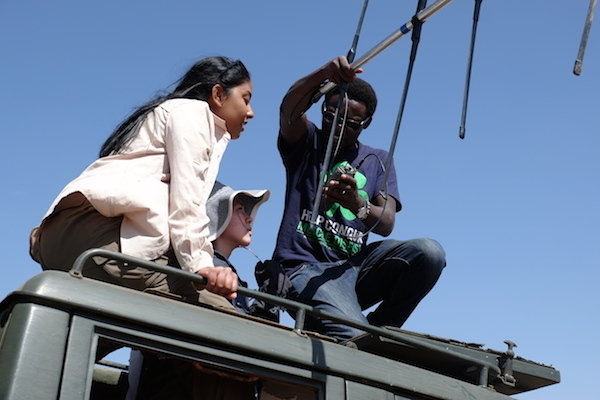 In their free time, students went on many game drives to fully experience the unique wildlife Laikipia has to offer. 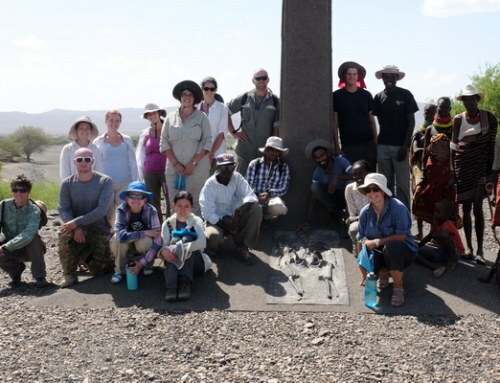 We saw a great diversity of different animals including rarely seen Cheetahs and a pack of African Wilds Dogs that had been last seen a year and a half ago. 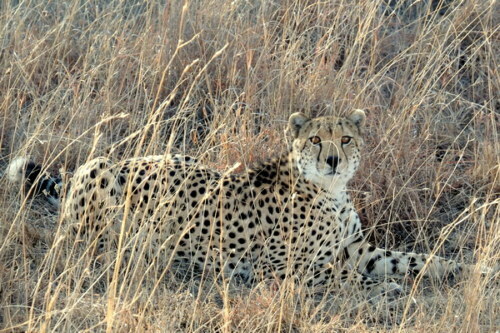 A Cheetah we saw on an early morning game drive. Photo credit Deming Yang. 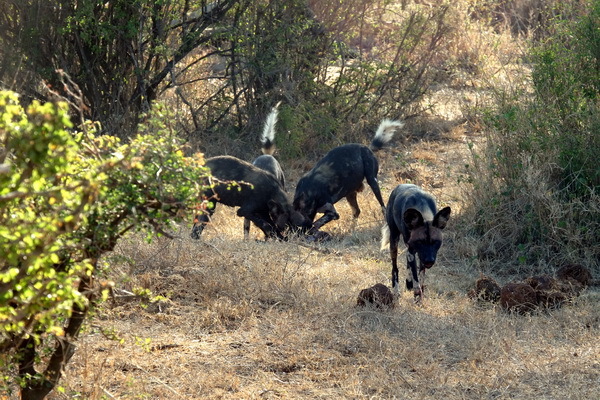 A pack of African wild dogs. Photo credit Deming Yang. 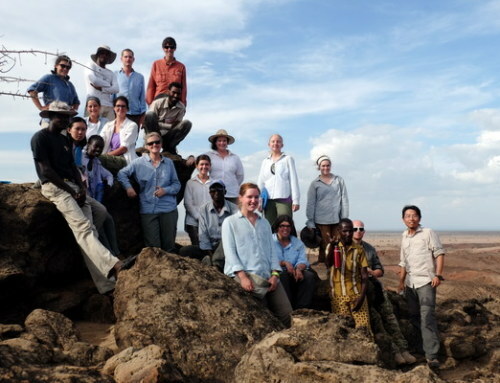 One great aspect of Mpala is that researchers from around the world study within the center, and often share their own research with the students. 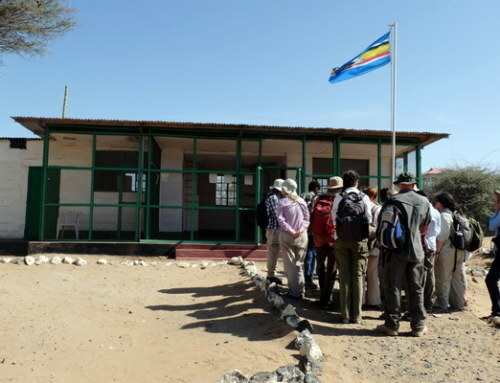 One researcher, Dedan Ngatia, who works on the Kenyan Rangelands Wild Dogs and Cheetah Project and the Laikipia Rabies Vaccination Campaign, took the students into the field with him. 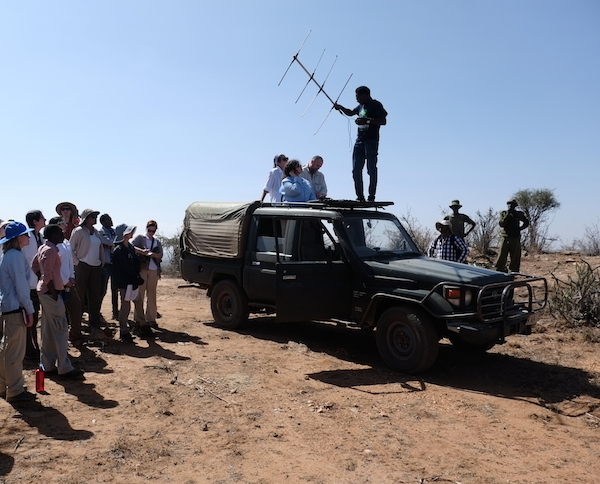 The Kenyan Rangelands Wild Dog and Cheetah Project works to develop sustainable ways to allow for the coexistence of wild dogs and cheetahs with people and their livestock. The Laikipia Rabies Vaccination Campaign aims to eradicate rabies in the Laikipia area and vaccinated more than 800 domestic dogs and cats! Close up of an African Wild Dog. Don’t be fooled though, these dogs are far from domestic! They are actually one of the best hunters in Laikipia with over a 60% success rate when targeting prey. Photo credit Deming Yang. 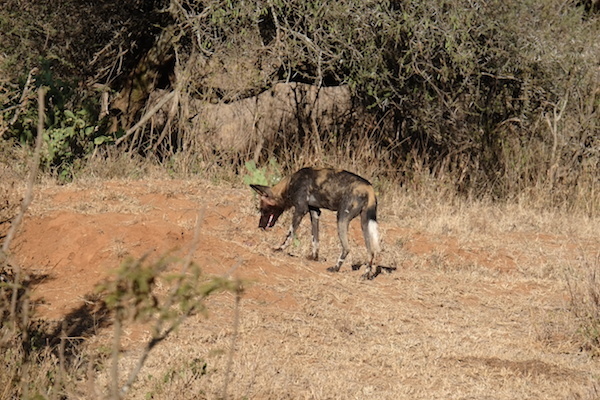 Dedan’s field excursion with the students included showing them how he tracks African Wild dogs! Students watching as Dedan tries to acquire a signal from the Wild Dog’s GPS collar. Photo credit Deming Yang. Kim and Yishan helping Dedan track the wild dogs! Photo credit Deming Yang. 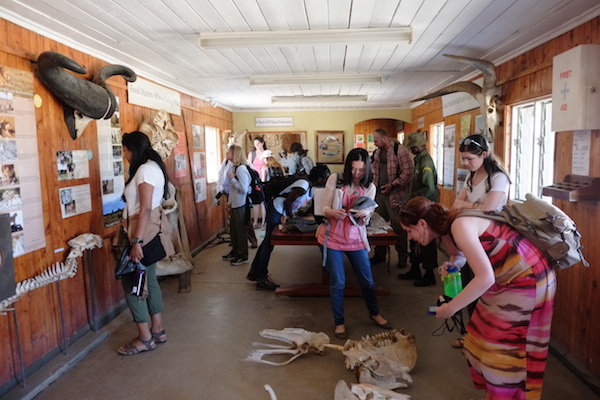 The Students spent their last day in Laikipia going to Ol Pejeta Conservatory. Ol Pejeta is a wildlife sanctuary for endangered species such as chimpanzees and rhinos and works to promote conservation throughout the Laikipia area. 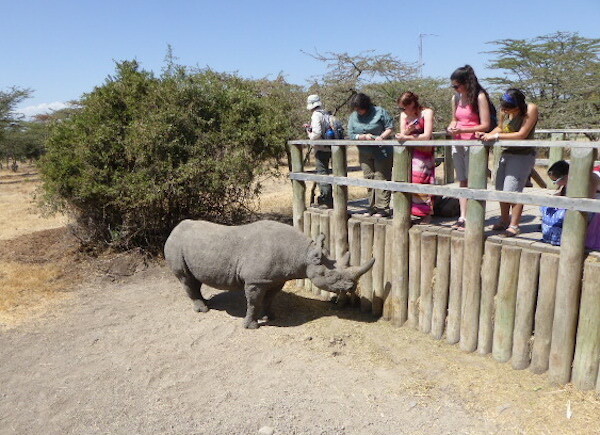 Our first stop in Ol Pejeta was to meet Baraka, a blind rhino. Baraka had gotten into a fight with another male, resulting in his injured condition and now is taken care of by the guards of Ol Pejeta. We were lucky enough to see him up close and could even give him some treats! 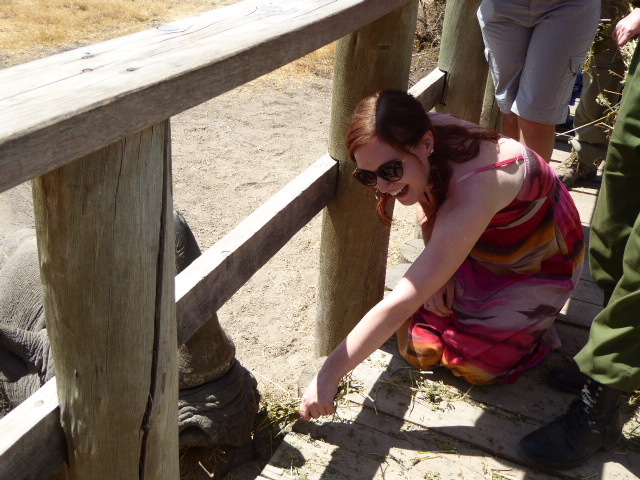 Shelby giving Baraka some hay. Ol Pejeta contains some of the last remaining northern white Rhinos and is also home to 115 critically endangered black rhinos (including Baraka!). 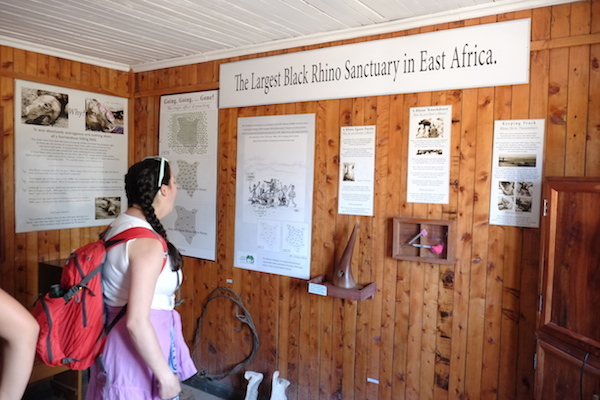 Maria reading about the Rhinos at Ol Pejeta. Photo credit Deming Yang. Students looking through a room filled with different animal bones found from the mammals at Ol Pejeta. Photo credit Deming Yang. 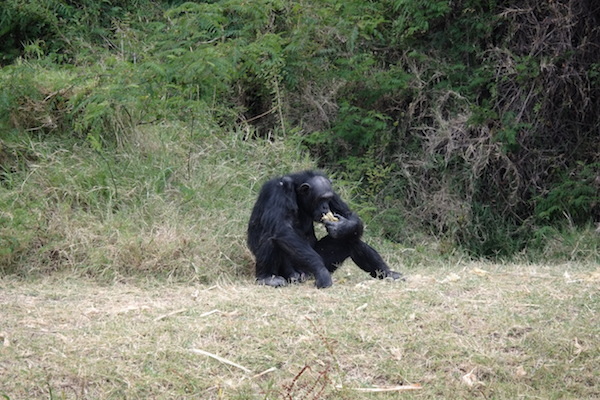 Our next stop in Ol Pejeta was to see the chimpanzees in the Sweetwaters Chimpanzee Sanctuary. This sanctuary was established in 1993, and provides refuge for orphaned and abandoned Chimpanzees throughout central and western Africa. The sanctuary in total has 38 chimpanzees, most of which were rescued from cramped and unnatural living conditions. One of the many rescued Chimpanzee at Ol Pejeta. This guy is munching on some sugarcane! 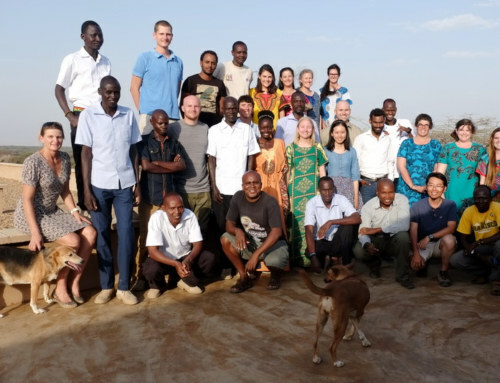 Unfortunately it was time to say goodbye to the Mpala Research Center this week. 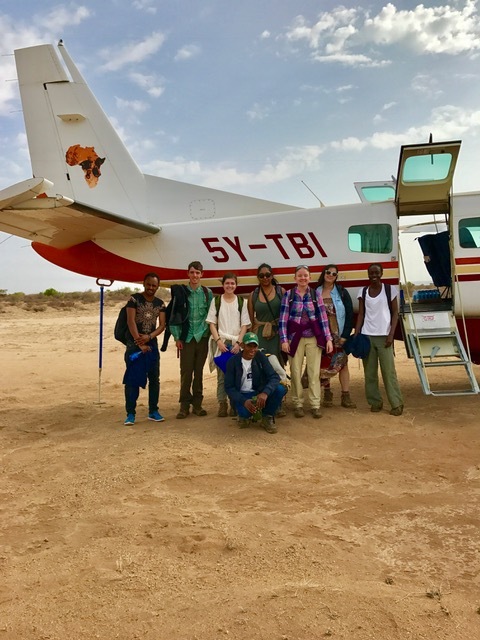 We would all like to say thank you to the wonderful staff and researchers at Mpala for making our stay comfortable, safe and enriching. Mpala immersed us in a unique environment unlike anywhere else and provided us insight into the current research being done in and around Laikipia county, Kenya, as well as wildlife conservation, management, and local community development. If you would like to experience some of this also, please view Mpalas live camera of the amazing animals in this area here. Also to keep up with Mpalas current research and newsletter, follow them on facebook! 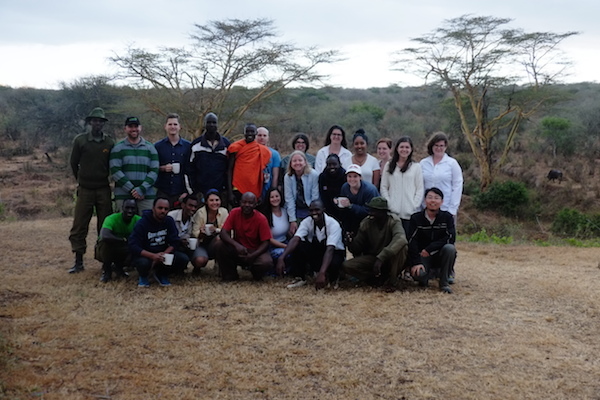 Group picture as we say our goodbyes to staff members that made our stay at Mpala wonderful! Can you see a buffalo in the background? Photo credit Deming Yang. While everyone seemed sad to leave, we are excited for the adventures to come at our next home: Ileret, Kenya. Students have landed in Ileret, which will be their home for the next 7 weeks! By Laura Morrissey|2017-02-05T01:17:21-07:00February 1st, 2017|Spring 2017|Comments Off on Cheetahs and Rhinos and Dogs, Oh My!